Get the latest results from the Oleron Island Stand Up Paddle Challenge, which is the French leg of the 2013 Stand Up World Series. Plenty of the pros are in this one, including Connor, Kai, Eric, Chase, Jacko, Beau, Jake, Casper and Annabel. SUNDAY UPDATE: Connor Baxter wins today’s sprints to claim the overall title. Full results, race recap, plus photos and video of the action coming soon. 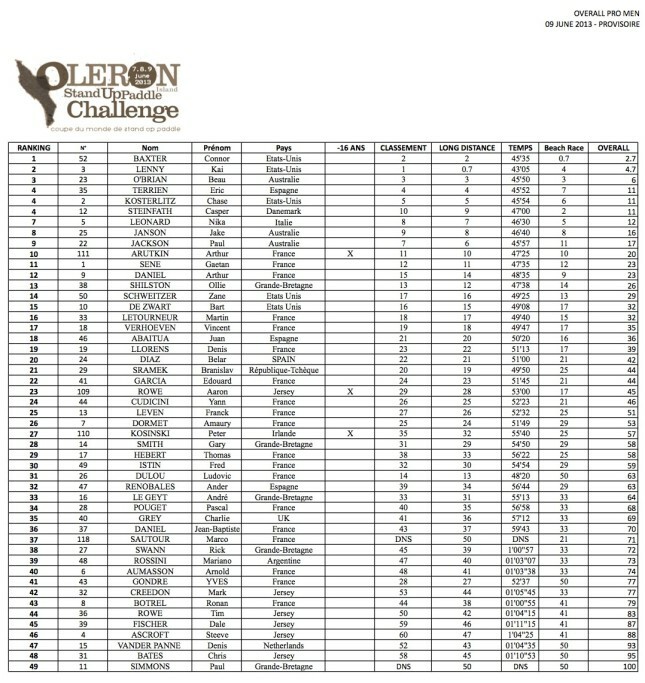 Full results are now posted below. SATURDAY UPDATE: Kai Lenny has just WON the Distance Race ahead of Connor Baxter, with the highly under-rated Aussie Beau O’Brian taking third. Meanwhile Annabel Anderson claimed the women’s race with Angie Jackson in second. This is only half of the event though, with results from today being combined with tomorrow’s sprint races to decide the overall rankings. So check back tomorrow for complete event results. Conditions were tough today, with big storms forcing organisers to change the course and delay the start by several hours. 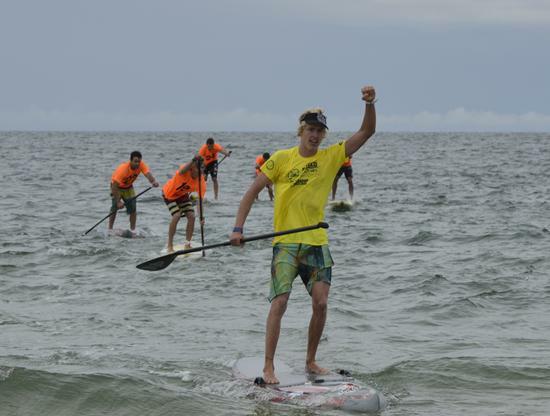 The Oleron Island SUP Challenge also marks Week #3 in what we’ve nicknamed the “European SUP Racing Tour” (presented by the good folks at NSP! 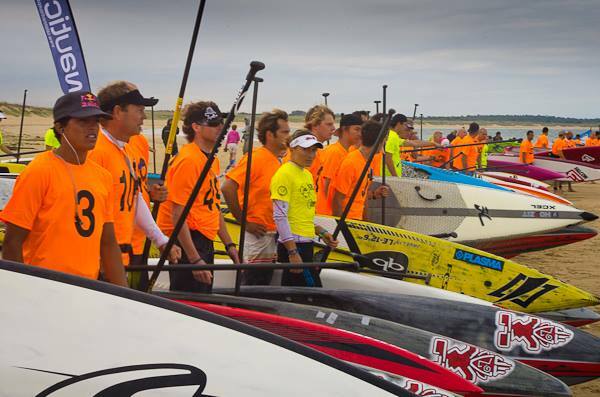 ), after we had Week #1 at the SUP Race Cup and Week #2 at the Lost Mills.